People living in Melbourne’s eastern suburbs can seek free legal help from ECLC’s offices in Box Hill, Boronia, Healesville, and at various outreach locations. Inner East: serving the communities of Boroondara, Manningham and Whitehorse. Outreach to: Ashburton, Bulleen, Deakin University, Hawthorn and Ringwood Magistrates’ Court. Monday – Friday, 9.00am – 5.00pm. Tuesday – Thursday evenings. The Box Hill office is located on the ground floor of the Town Hall Hub. The entrance is wheelchair accessible. Box Hill railway station is located in the Box Hill Central shopping centre near the corner of Carrington Road and Station Street. Box Hill station is on the Belgrave and Lilydale train lines. The Box Hill bus terminus is located on the upper level of the Box Hill Central shopping centre near the corner of Carrington Road and Station Street. Many bus routes pas through this bus terminus. The 109 tram to Port Melbourne/Box Hill is located on Whitehorse Road, near to Box Hill Central shopping centre. The tram comes every 10 to 15 minutes. Low floor trams are available on this route. From Box Hill Central shopping centre, it is a 10 minute (approx.) walk to ECLC. Proceed along the Main Street Mall towards Station Street using the underpass. Continue along Bank Street until reaching the Box Hill Town Hall Hub (the white building on the left hand side). Proceed past the Migrant Information Centre entrance and turn the corner along the pathway. ECLC is the first door on the left. For bus, train and tram timetables and information on other metropolitan public transport services see Public Transport Victoria at http://ptv.vic.gov.au/. Telephone information is available from PTV 6am – midnight daily 1800 800 007. Box Hill Town Hall offers permit and restricted parking only. There is ample ticketed parking along Bank Street. Box Hill Library (next to the Box Hill Town Hall) offers free parking up to 1 hour only. Outer East: serving the communities of Knox and Maroondah. 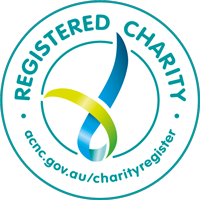 Outreach to: Ringwood FRC, Ringwood Magistrates’ Court and Rowville. Monday – Thursday, 9.00am – 5.00pm. Tuesday evenings. The Boronia office driveway is on a medium incline. 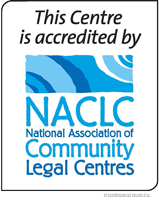 ECLC staff are able to assist and clients should advise staff when making an appointment. The entrance is wheelchair accessible. Boronia Railway Station is located in between Lupton Way and Erica Avenue. Boronia Station is on the Belgrave train line. The Boronia bus terminus is located at the Boronia railway station, on Erica Avenue. Bus routes 690, 691, 745B, 753 and 755 stop at the Boronia bus terminus. From the Boronia railway station, it is a 10 minute (approx.) walk to ECLC. When exiting via the stairs at the station on Lupton Way, turn left and proceed along the pathway towards Chandler Road. Turn right in to Chandler Road. Cross over Dorset Road and continue past the shopping centre on the right hand side. Turn right into Floriston Road. ECLC will be on the left hand side. The office is directly opposite the shopping centre’s undercover carpark. Note: If taking the bus, you will need to walk through the station (towards Lupton way) before turning left at the pathway towards Chandler Road. Follow the directions above. There are no tram services nearby. ECLC has ample free parking directly outside the Boronia office. Free car parking is also available across Floriston Road in the shopping centre carpark. Yarra Ranges: serving the communities of the Yarra Ranges. Outreach to: Lilydale, Monbulk, Ringwood Magistrates’ Court and Yarra Junction. The Healesville office is accessible from the Coles car park via a ramp or stairs. The entrance to the Community Link building is wheelchair accessible. The nearest railway station is Lilydale which is located on the Belgrave train line. Bus route 685 departs from the terminus at Lilydale Railway Station, Main Street and runs via Main Street, Maroondah Highway, Melba Highway, Bell Street, Armstrong Gv, Healesville-Yarra Glen Road, Healesville-Kinglake Road and Maroondah Highway, to the terminus at the corner of Don Road and Maroondah Highway. There are no nearby tram services. There is ample parking in Coles car park or behind the Shire building. The Community Link building is accessible from the Coles car park via stairs or ramp.